and therefore the health of your eyes is our number one priority. 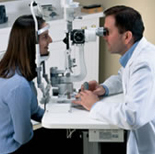 Our doctors provide you with the finest eye care available. Dr. Khalfe received his Doctor of Optometry (O.D.) degree from the University of Houston, College of Optometry, in 1991. He also received his Bachelor of Science (BSc.) in Biology from the University of Houston in 1989. Dr. Khalfe completed his undergraduate (BSc.) and doctorate (O.D.) degrees in six and a half years instead of the standard eight years. The College of Optometry faculty voted Dr. Khalfe as one of the top ten clinicians in Spring 1989, Fall 1989, and Spring 1990. 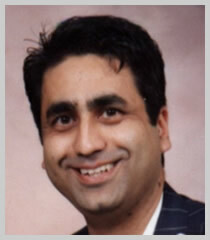 Dr. Khalfe is the founder of Eyeland Vision. He envisioned an Optometric practice fully owned and operated by a doctor whose number one priority would be the well-being of the patient. He also wanted to serve his patients in a relaxed and wistful environment, away from the chaotic and over-crowded mall locations. 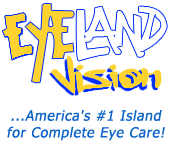 Today, Eyeland Vision, is a reality and a visit to any of the practices will confirm that Dr. Khalfe’s vision has been accomplished. Dr. Khalfe is board certified to diagnose and treat most eye diseases including red eyes, dry eyes, cataracts, glaucoma, diabetic retinopathy, hypertensive retinopathy, foreign body removal and macular degeneration. Dr. Khalfe has extensive experience in fitting all kinds of contact lenses, including specialty contact lenses for correction of astigmatism (toric contact lenses), presbyopia (bifocal contact lenses), monovision (one eye fitted for distance and the other for near), and keratokonus (abnormal corneal). 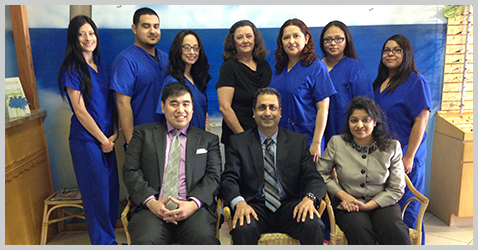 Dr. Khalfe is a member of the American Optometric Association, Texas Optometric Association, and the Harris County Optometric Association since 1987. Dr. Khalfe has been providing free eye exams to the homeless since 1991, during the “Save Your Vision Week” sponsored by the American Optometric Association. He has also served as the 2nd Vice President at the Commonwealth Elementary School and is a volunteer at his children’s Sunday school. Dr. Lambert Duong is originally from Wichita, Kansas. Dr. Duong graduated with Honors and Distinction from the University of Kansas with a Bachelor of Arts in Biology. He received his Doctorate of Optometry degree from the University of Houston College of Optometry. He enjoyed the rich variety of experiences Houston had to offer and decided to make the Houston area his home. Dr. Duong is a licensed therapeutic optometrist and optometric glaucoma specialist. 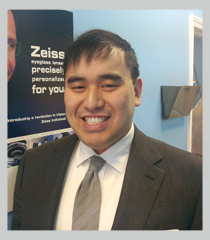 Dr. Duong’s optometric internships were heavily focused in primary care, contact lenses, and binocular vision. Dr. Duong is a member Beta Sigma Kappa International Optometric Honor Society, as well as a member of the Texas Optometric Association and the American Optometric Association. In his spare time, he enjoys jazz music, automobiles, exercising, and reading. 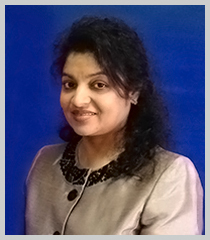 Dr. Lydia John graduated with a Doctor of optometry from Nova Southeastern College of Optometry in 1998. She completed her undergraduate studies at Baylor University. She is a licensed therapeutic optometrist that provides primary eye care, contact lens fitting and treat most eye disease. In her spare time ,she enjoys spending time with the family, listening to gospel music and reading. Our staff members are amazing! We’re here to take care of your needs! Have a question? Concern? Please discuss with a member of our staff. We are happy to assist you.